Introducing "Singapore Race Database" | JustRunLah! With more than 100 races taking place annually, the Singaporean runner is spoilt for choice when deciding which ones to take part in. In fact, the dazzling array of choices could prove to be a bane rather than a boon, especially for new runners. If you’re a recreational runner, which events are suitable for you? Which ones have a fun element? If your New Year’s resolution is to run a marathon by the end of the year, which ones will give you enough time to train? What are the differences in price? T-shirt design? Medal design? City route or nature route? Oh, and what if you simply wanted to recall certain information about past races, like the route map or the runners entitlement, but couldn’t locate the information? Hold on to your seats, racers, JustRunLah! 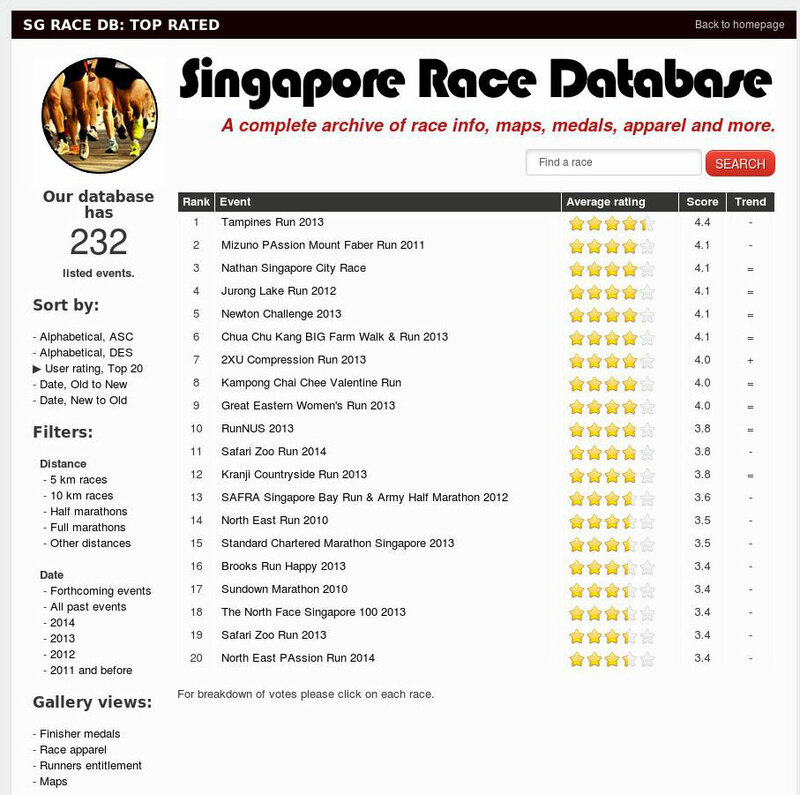 is launching the Singapore Race Database, the first of its kind in the online running community! 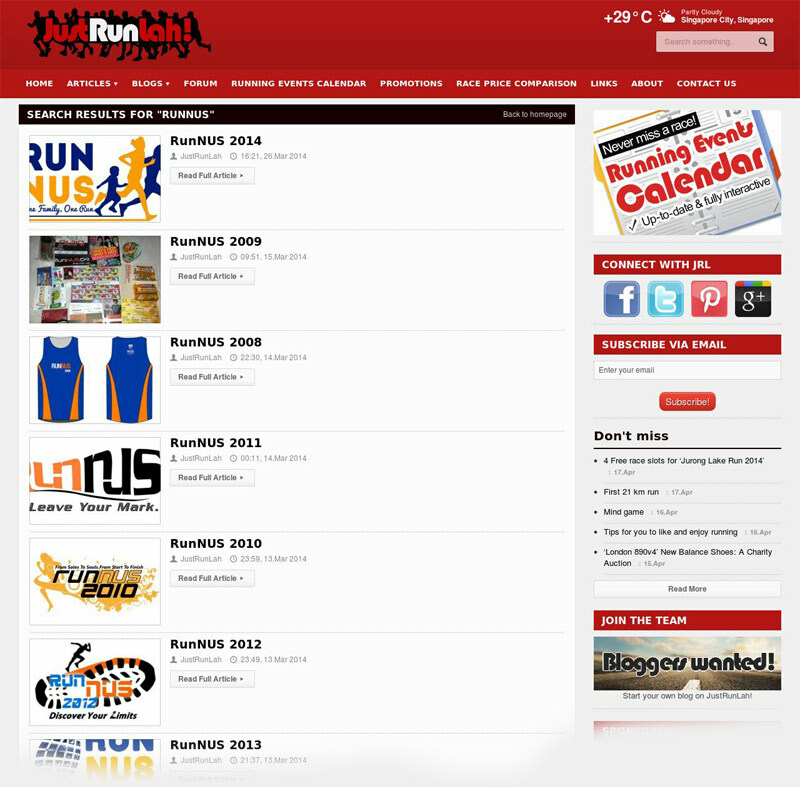 It provides all the information on past and forthcoming running events in Singapore. We also provide a space for runners to rate and leave reviews about past races, so future participants will be better informed before deciding to take part. Think of it as a hybrid of the functions of Wikipedia and Tripadvisor! And just like Wikipedia, all users can contribute information to the database, so we welcome you to take part! Click here to visit the database! For easy browsing, you can sort the events by title or date. Also, you can choose to display events only of a certain category (e.g. Full Marathons, Half Marathons, 10km, 5km or other), or display only upcoming events (or only past events), or even choose to display only races of a specific year (e.g. all races in 2014). Events that fall under multiple categories will be listed as long as you select any relevant category. All sorting and filtering can be done at the left-hand column. Or, if you’re looking for a specific race, simply enter it into our dedicated search engine. List view with “10 km” filter. Result page for search term “RunNUS”. Let your voices be heard! All the listed races can be rated by our members on key attributes, such as route planning, pre-race logistics, hydration and amenities or runner’s entitlement. Comments and reviews by our readers are also welcome and can be published using the form at the bottom. 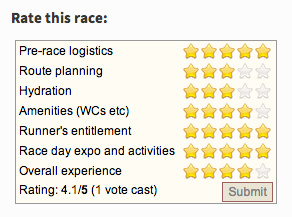 Want to find out what are the top-rated races? The top 20 races with best overall score can be found at the left-hand menu. Top rated running, calculated from our members’ votes. Our rating system where readers can vote. A must for the Medal Hunters out there! You can view finisher medals, route maps, race apparel or runners entitlement galleries. Here, only photos are displayed, so as to let the pictures do the talking! JustRunLah! 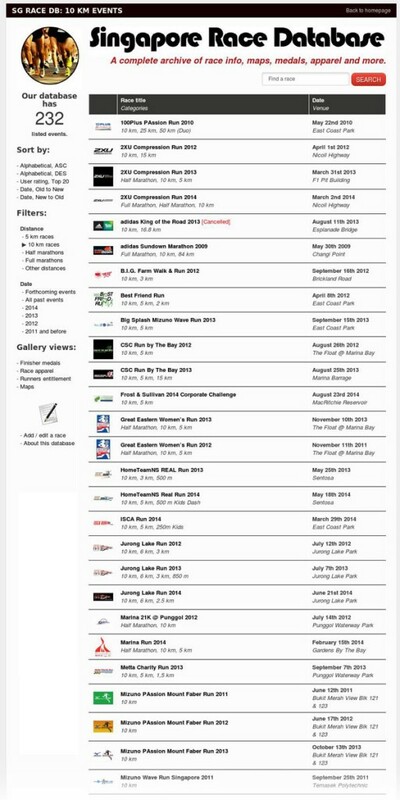 is a user-centered website and we could have not done all these without the running community, you. Everybody can add a race or update information (e.g. submit better photos, add additional details) on an existing one. There are currently two ways to do this. 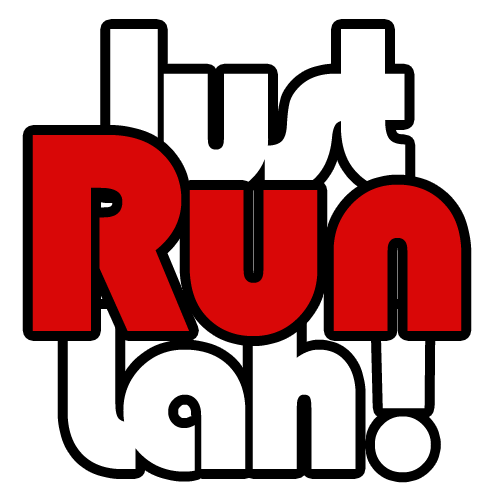 First, you can submit the race details to us using the form provided here; we will process your submission as soon as possible, the second is to become a contributor for JustRunLah!. All contributors have access to a special back-end interface and can add races directly themselves. You will be able to start and maintain your own running blog from the same account. Click here to read more on how to become a contributor. We would like to thank the forum members who helped us by beta-testing and with their feedback. Please let us know what you think of this new feature and how we can further improve it.